One of my favorite times on St. John is the week before Christmas. Everyone is happy, the music has started back up, the restaurants are open and ready for the new season. The beaches are not as crowded and the charter boats are ready to take you out. Here are some homes that are still available for Christmas. Looking for that last minute booking to spend Christmas with us here in the Islands? Island Cottage in Coral Bay is offering a 1 Bedroom, with a Queen Bed + Convertible bed, 1 Bath that sleeps 3-4 and a hot tub with a view. Available for Christmas 12/17 – 28th, $200 off December rental of one week or longer. Wake up Christmas morning here. Available for Christmas and the New Year, Coconut Retreat is a well equipped one bedroom, one bath small cottage perfect for 1- 2 people across the street from the water in Coral Bay. Great grocery shopping next door at Calabash Market and Shipwreck Landing Restaurant for lunch and dinner just over the hill. New on St. John Links! Is it Hurricane Thanksgiving Day yet? Today we say goodbye to Tropical Storm Rafael and hello to two new homes at St. John House Rentals… plus a charter boat business on St. John Links. Just added: Monkey No Climb, a two-bedroom villa on Bordeaux Mountain. The fiery flamboyant blooms all summer. So you’ve been to St. John for the day and you want to come back for more. Or you’ve stayed in one of the island’s resorts, and now want to kick your experience up a notch. Or maybe you’re already a veteran villa renter, looking for the most beautiful homes in the Caribbean. Whatever the case, you have just discovered the key to your next perfect vacation. 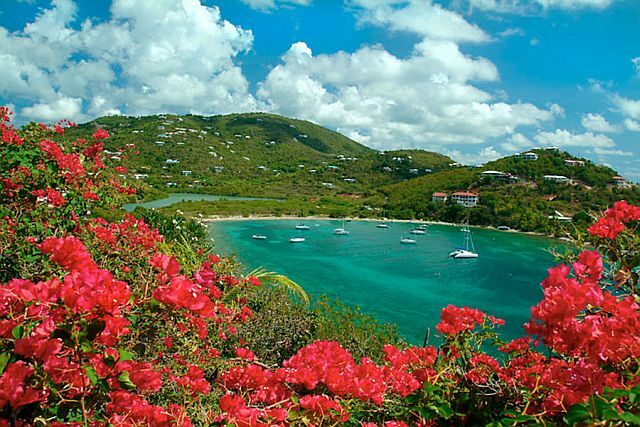 With St. John House Rentals, you can find the ideal home for your stay in paradise, from sprawling properties to accommodate the entire family to intimate little hideaways for two. It’s easy. To begin searching, click on Salomon Beach above. Or the palm tree. Or that crystal blue water.